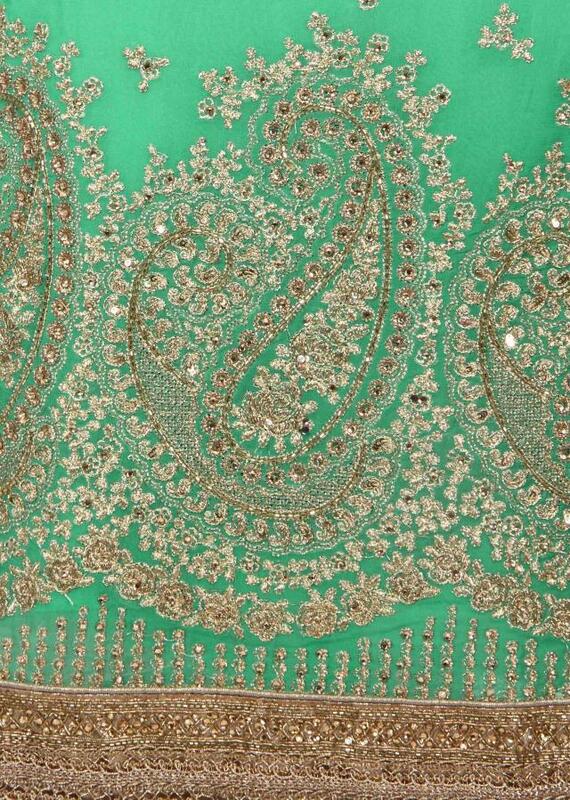 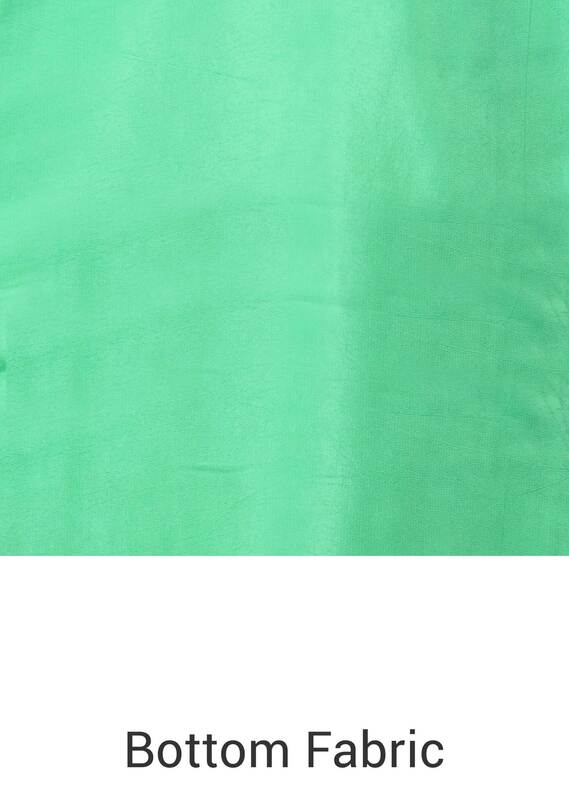 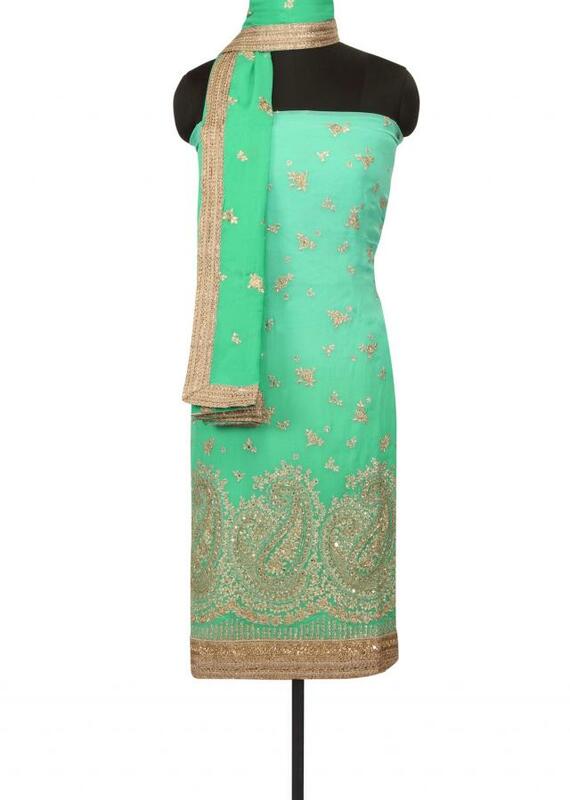 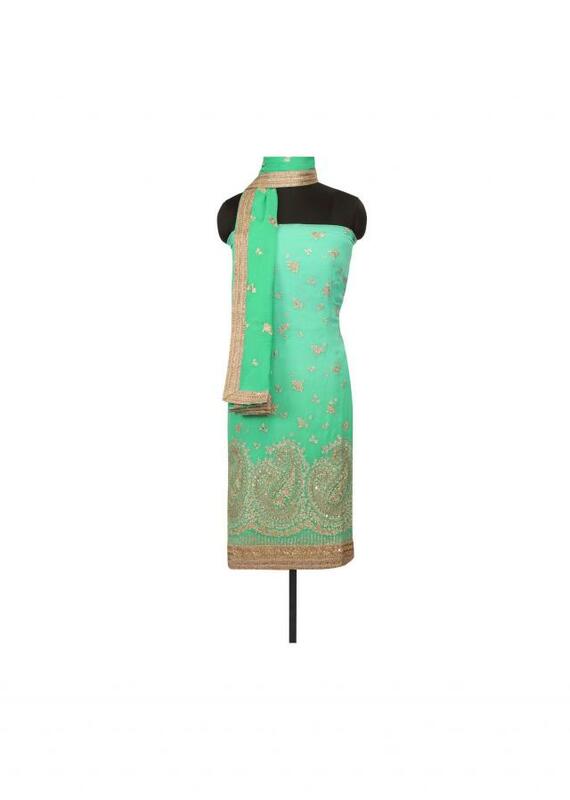 Turq and sea green unstitched suit featuring in gerogette. 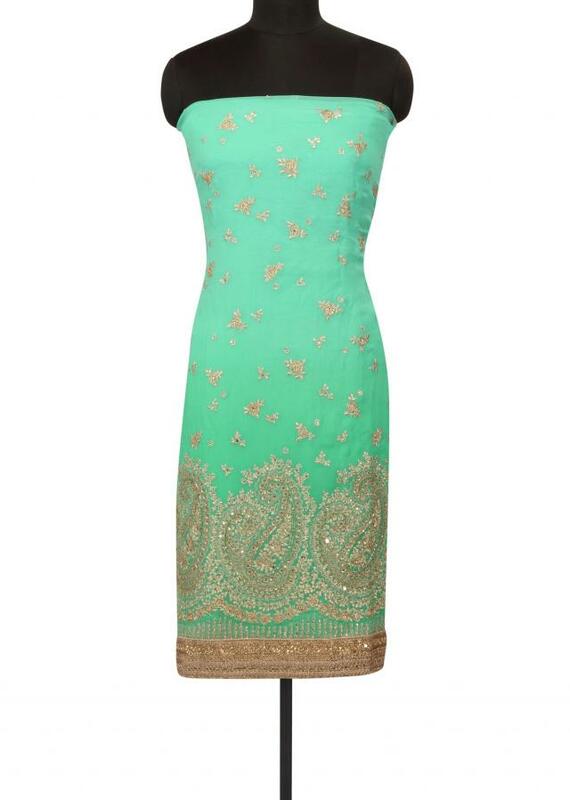 Its embellisehd in zari embroidered butti. Bottom fabric is in santoon and dupatta in chiffon.